Mahindra have guts  you've got to give them that. While other manufacturers play it safe, Mahindra are constantly trying new things and playing with fresh segments. Their stand at the 2016 Auto Expo was all about the future, with the electric eVerito and e20 Sport. You can't accuse them of a lack of excitement either as they continue to be the only Indian company to be fielding cars and bikes at the top level of international racing (Formula e and Moto3). Their eagerness to explore the unknown shows in thought provoking machines like the Mojo and more recently, the XUV Aero concept. The KUV100 fits right into this mindset. It's a vehicle like no other, one that has created a little segment for itself and aims at taking on both hatchbacks and sub-4m sedans. It will counter these two very popular shapes with a promise of a tall, SUV-like ride height in addition to a spacious and feature-filled cabin. 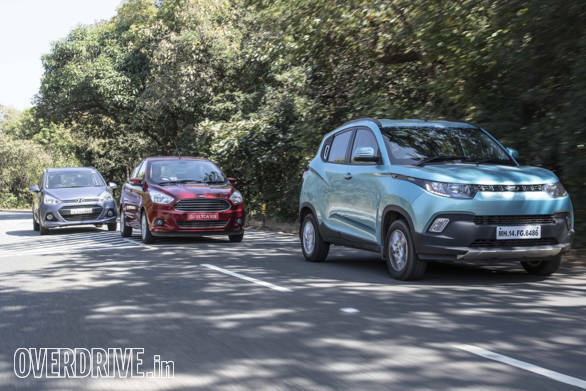 To see what the KUV100 is really made of, we decided to pitch it against the best sub-4m sedan and small B-segment hatchback around. Right now, both those spots are occupied by the Ford Figo and Figo Aspire, respectively. But to keep things interesting, we decided to go with the Figo Aspire sedan and the Hyundai Grand i10 to represent the hatchbacks. The Grand comes a close second to the Figo hatch while offering a much more comprehensive features list. 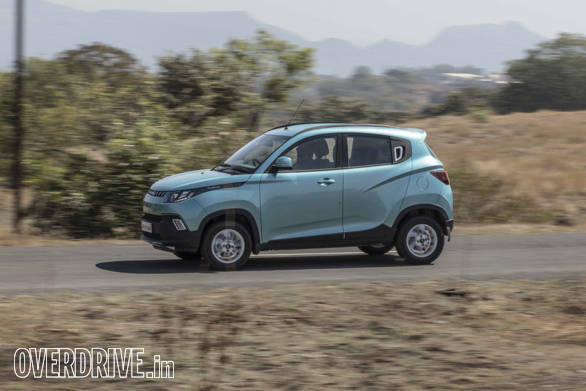 This is going to be a considerable challenge for the KUV100 since we will be comparing petrols and the KUV's small three-cylinder motor is Mahindra's first ever in-house developed petrol engine. 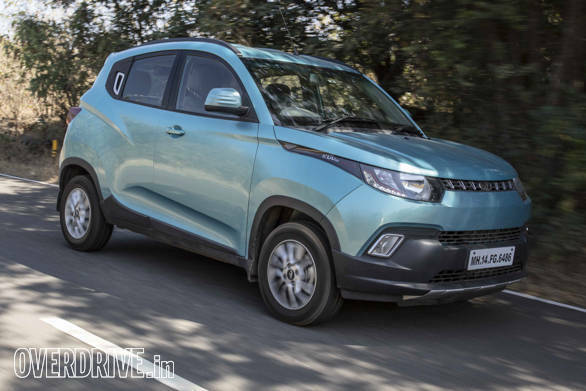 Going by the images, I was a bit unsure but when I spotted the KUV100 for the first time the immediate reaction was, "oh that's not bad at all". 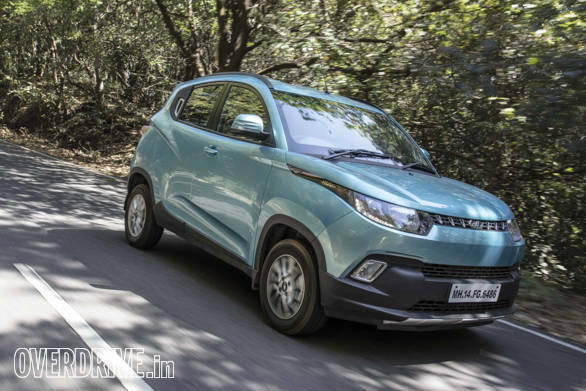 It was an important initial barrier crossed  the KUV100 does not come across as a heavily polarising or offensive design. This is a Mahindra we're talking about, so there is bound to be some, err, uniqueness. The tiny upper grille, for example, seems inspired by the Ford EcoSport but leaves a large expanse of bare plastic that looks strange. But I do like how the width of the design makes the KUV look larger than it is. The pulled back headlamps are pretty smart too, especially with the LED DRLs on the top K8 model. The side profile is a bit iffy in comparison  the car looks tall but compact and I'm not a fan of the exaggerated curved line towards the rear. Most of all, the small wheels look almost cartoon-ish. The rear end looks cheerful with rectangular tail lamps and an integrated spoiler that comes on all models. But here too the pronounced metal creases appear unnecessary and look like a pair of frowning eyebrows over the tail lamps. Like with the XUV, more restraint would have produced a nicer effect, but Mahindra are definitely getting there. The Grand i10 is now a very common sight in the automotive landscape but the charms of its subtle but smart design haven't worn off yet. 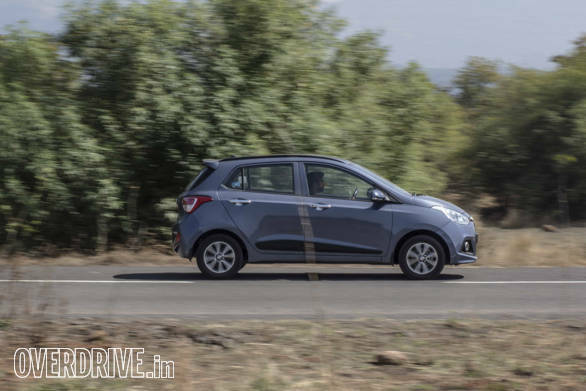 Hyundai used to be like Mahindra, subscribing to unnecessarily over the top designs, but with the Grand i10 they found the right balance and every car from the Korean brand since has been a looker. The Grand i10 is a handsome car from any angle but I am particularly fond of the Euro hatch-like rear end. 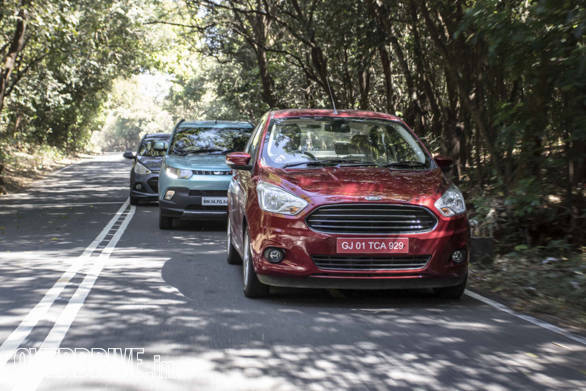 It's really hard to make a sub-4m car look good but Ford has done the best job yet, even when you count the new Volkswagen Ameo and Chevrolet Beat Essentia sedan that were unveiled at the 2016 Auto Expo. It's the closest a compact sedan has come to looking proportionate. Add in that Aston Martin-like grille, swooping headlamps and D-shaped tail lamps, it's actually quite a pleasant sight when compared with its peers. Perhaps the only thing I don't like is the tinny sound with which the Ford's doors and boot close. There is no bad looking car here but the KUV is undoubtedly going to grab the most attention. That's not just because it is new but also due to the fact that there's nothing else on the road like it. 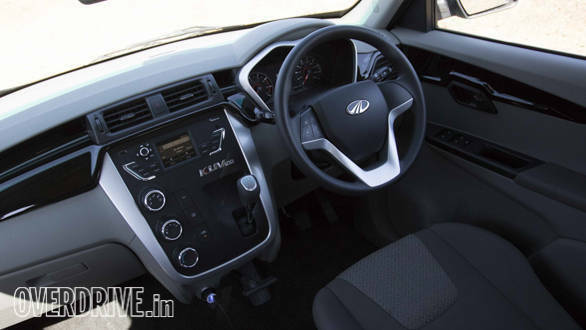 The KUV's cabin looks very pleasant at first glance. Everything looks and feels nice and I have no complaint about the quality of materials used. The dashboard layout is simple and elegant but I did find the audio system controls very fiddly to use and the buttons rather haphazardly arranged. Unfortunately, our brand new test car that had clocked just over 1,500km had a number of rattles coming from deep within the dashboard. Hopefully this was an issue restricted to this particular car as the diesel we also drove in our road test had a rattle free cabin. We also found the driving position cramped with not much place for the legs and an uncomfortable seat. On the plus side, Mahindra have done an amazing job of liberating cabin space and there is enough knee-room at the back even for tall passengers. A fully flat rear floor makes things comfortable for the middle rear passenger. The rear bench, however, feels a little flat and has very intrusive headrests. Headroom is also limited compared to the other two and tall passengers will feel their heads brushing against the roof. The KUV100 offers a sixth seat in the front and it works well as an armrest and also has a nifty storage space hidden beneath. Our test car didn't have it fitted and we'd advise you to steer clear of it as well if you plan on using it to seat an occupant. A basic lap seatbelt and no airbag for the middle passenger is simply not a good idea. The KUV's driving position is tall and commanding and this will be one of its key selling points. A sacrifice had to be made somewhere for all that cabin space and it shows in the boot. While just a few litres smaller than the Grand i10 on paper, the KUV's boot in reality is far less usable with a narrow and deep space that has a tight loading window thanks to intrusions from the tail lamps. Fitting even a weekend holiday's worth of luggage for a family of four could prove to be difficult. The Grand i10 has the best looking cabin here. Its well designed dashboard has the most intuitive layouts and is the easiest to use. The Hyundai also uses the best materials. 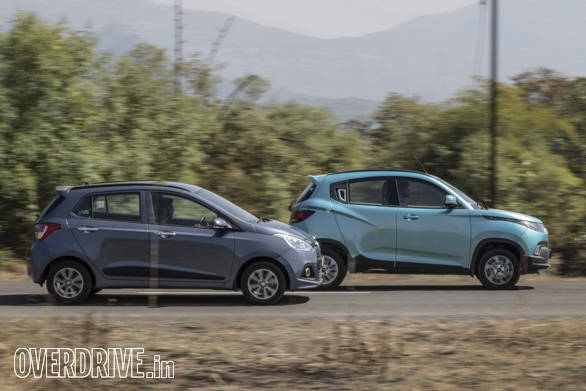 Compared with other hatchbacks, the Grand i10 is quite spacious but it doesn't have the same rear kneeroom or width as the other two. Three passengers at the rear will be quite squeezed in the Hyundai. 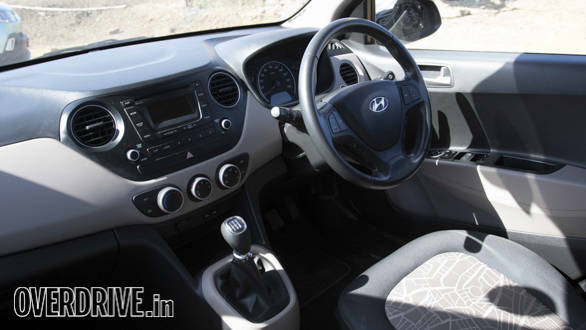 A rear AC vent and keyless entry with push botton though are much appreciated features that only the Grand i10 offers. The Grand's 256-litre boot is wide and has a large aperture but can't hold a candle to the Figo Aspire's 359 litres of space. All three cars offer practical door pockets with the provision to hold a 1-litre bottle of water. 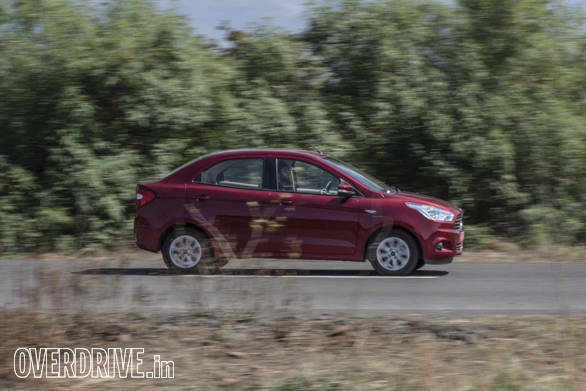 A few months ago, when we rated the Figo Aspire as the best sub-4m sedan, we suggested the Titanium variant if the Titanium+ with its six airbags and other features was working out to be too expensive. This time, we have a Titanium on test and the difference in the cabin is clear. Without the larger screen atop the dashboard, the Figo cabin doesn't look quite as premium. The phone holder that replaces the large screen on the top model is a little fiddly to use and won't fit the latest plus sized phones. That said, the Figo has the best sounding audio system  slightly better than the Hyundai and miles ahead of the Mahindra's tinny sound. The Aspire cabin shines with the most space, even over the KUV100. It is wider than both and offers even better rear kneeroom than the Mahindra. There's enough space in the back, never mind the mild hump in the floor where the middle passenger would put their feet. The Figo also has the most comfortable seats. The Grand i10's feel a little flat in comparison while the KUVs front seats offer very little support in the corners and have poor thigh support. All three engines displace 1.2-litres but the Mahindra motor has just three cylinders. The 83PS/115Nm petrol engine starts up with a typical three-cylinder note and the whine persists throughout. That said, Mahindra have tuned the motor for low speed driveability. Torque is slightly higher than both but peaks a whole 1,000rpm lower. Gear shift quality is impressively slick and the KUV also has shorter gearing than the other two, giving it the strongest bottom end. It's very happy pottering around at low revs and the engine chugs along in second gear at crawling speeds without complaint. When you demand more performance, the motor revs out to the redline quite quickly in first and second gear but it starts to sound and feel rough at such high revs. 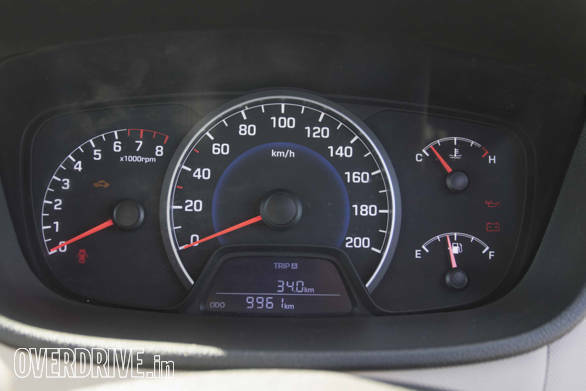 At highway speeds, the KUV100 comfortably gets upto 100kmph but anything above is laborious. In our performance tests, it eventually reached a top speed just over 140kmph on the Vbox. We recorded 15.46s run from 0-100kmph, respectable but expectedly the slowest here. I suspect this is down to the KUV100's weight. Mahindra have a strange new policy where they will no longer disclose kerb weights for their vehicles. We can't quite understand why, unless the KUV is grossly overweight. This is quite possible given that Mahindra's vehicles are traditionally over-engineered to be tough and as a result are pretty heavy. By the completely inaccurate weighing scale that is the seat-of-the-pants sensation from behind the wheel, I'm going to assume the KUV100 weighs 1.7 tonnes. What the hell, let's make it an even 2 tonnes. Mahindra is free to correct me at anytime on this! Considering how much of a fatty the KUV is, its overall fuel efficiency figure of 13.9kmpl is pretty decent. But still not as good as the other two. We didn't expect it, but the Grand i10 has the nicest motor. The 83PS/114Nm 1.2-litre four cylinder engine is smooth, rev happy and ultimately faster than the Ford. The Hyundai motor lacks the KUV's low speed ease of driving but it feels much smoother and more refined overall. The 5-speed gearbox is light and slick but clutch action is a little heavier than the Mahindra's. We recorded a 0-100kmph time of 12.6s which makes the Hyundai the quickest car here and faster than the Ford by a whole second. The Grand i10 continues to impress with the best fuel efficiency too, returning an overall 14.9kmpl. 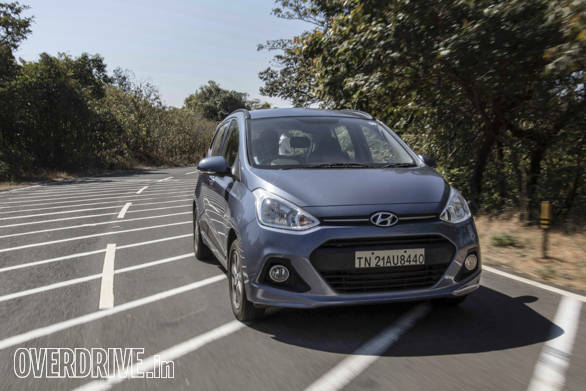 Purely in terms of drivetrain, the Grand i10 is the one to beat. Ford's small capacity petrol engines in India have traditionally been the weakest part of the package. 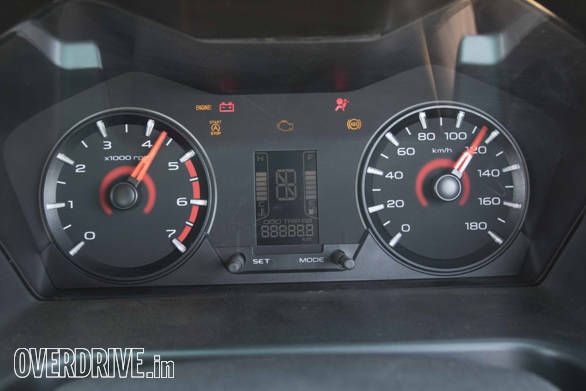 With the new Figo and Figo Aspire, the company has used variable valve timing to bump up power from the old Figo engine considerably to a total of 88PS over the old 71PS. Torque is up too from 102Nm to 112Nm and it peaks at the same 4,000rpm. Despite making the most power, the Ford engine simply doesn't have the same zing as the Hyundai. It also has the weakest bottom end and doesn't like low revs  most of us stalled it in traffic at some point or the other. It revs freely and never feels strained but you get the impression that you're not really going very fast. 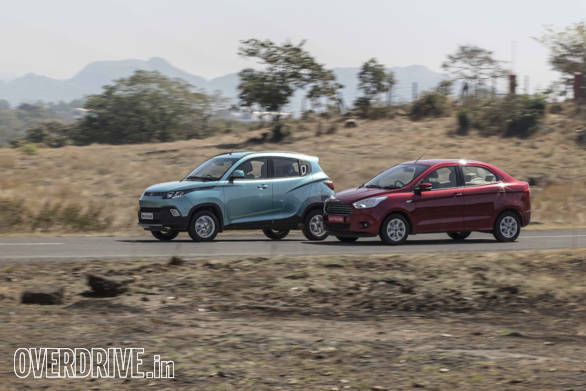 Our performance tests reflected this and the Figo Aspire set a 0-100kmph time of 13.59s, putting it exactly in the middle. The Figo also didn't turn out to be as efficient as the Hyundai, returning an overall 14.4kmpl. It's ironic that the petrol engine in the Figo Aspire is a weak point while the diesel Figo Aspire has the best engine in the segment. In town, the KUV100 is king thank's to it's high driving position and compact dimensions work well. Ride quality however is jittery and like other Mahindras, the KUV100 has a tendency to bounce over potholes and bumps. Take it out of town though and the experience deteriorates further. Highway composure isn't very good above 100kmph and the wind noise coming off the wing mirrors is enormous, the loudest I've encountered. Even the steering that felt just about decent in city becomes far too light and vague at highway speeds. Handling is not bad, certainly better than the Quanto or TUV300. However, despite using a brand new monocoque, the KUV100 still feels more like an old, utilitarian vehicle than a car. The tall feeling is always prevalent in the ghats and while it's not very comfortable. That said, the KUV almost always has enough grip on hand and does not threaten to break traction. This is in no way an exciting car to drive but there are a large number of people who will find a different kind of driving pleasure in the commanding SUV-like driving position the KUV offers. The Grand i10 takes a similar city friendly approach and Hyundai's trademark light but lifeless steering makes quick work of traffic. 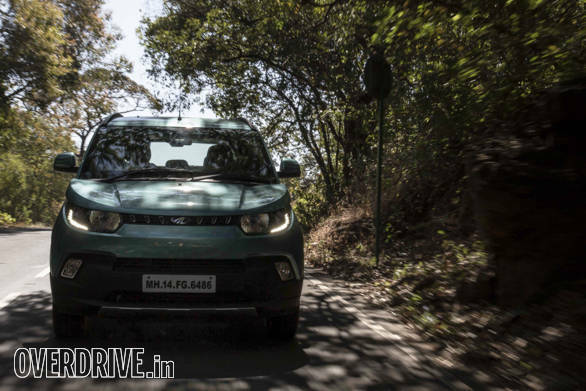 The Grand has pliant ride quality but it isn't as soft as the Mahindra. 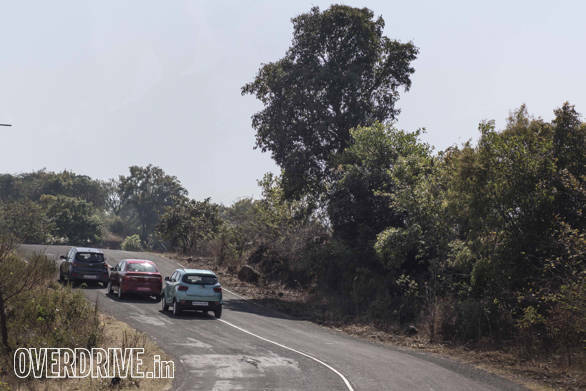 Like the KUV, it has a tendency to thud through potholes but it feels much more confident at high speeds and can comfortably sit at 120-130kmph for extended periods. The Grand i10 is nimble and quick to change direction but it isn't as enjoyable a car to play with around a winding road as the Ford. It simply doesn't have the same grip and composure. If you were to drive the Aspire back to back with an old Figo, it would disappoint. I know I go on and on about this, but the magic of the old Fiesta-based Figo chassis has been lost. Let go of the past and the Figo is still the nicest car to drive in the segment (the Dzire comes close) despite the fact that it is now a little softer and has a new but very average electrically assisted power steering system. 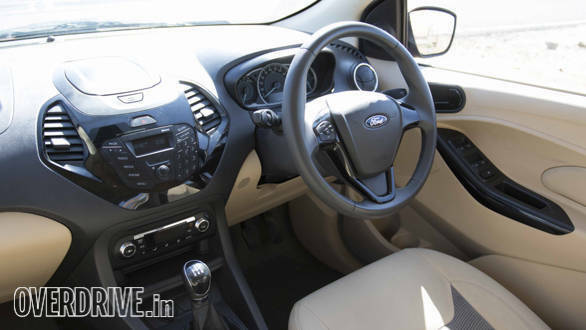 We wish the Aspire had at least the same steering feel as the EcoSport or Fiesta, both of which have the best electrically assisted systems in the affordable segment of the market. Still, the Aspire is the fastest, most composed and enjoyable car of this lot to wring up a mountain road. It also has the best ride quality with well judged suspension that is supple but not unnecessarily soft. Highway manners are impressive and NVH levels are the lowest on test. This comparison is aimed at those who have about Rs 7-8 lakh to spend but are not sure what vehicle is right for them. 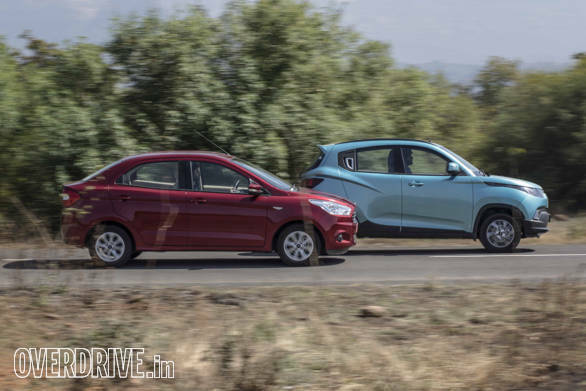 Thus far, the choice was simple  hatchback or boot, but Mahindra have upset the apple cart. The Rs 7.3 lakh (all prices on-road Mumbai) KUV100 K8 brings a unique proposition and it's a package that works. Lord knows we love our SUVs so why not have something catering to this segment of the market. Full points to Mahindra for offering ABS as standard and airbags as an option on all variants (standard on the K8). For someone looking solely for a city vehicle, the KUV100 makes sense. That said, it still has some ways to go. Its highway manners are not up to the mark, the boot is too small for a family and it doesn't feel as polished and refined a product as the other two. If you simply must have a hatchback, the Rs 7.15 lakh Grand i10 is one of the best choices, especially if you are looking for a petrol. It has one of the most spacious cabins in class, a usable boot and a rich features list, even better than the Ford. But we'd still suggest you go the extra distance, put down some more money for the compact sedan. Granted, it's not a small sum  the Rs 8.28 lakh Figo Aspire Titanium with dual airbags and ABS costs nearly Rs 1 lakh over the Hyundai. Add a further Rs 70,000 for the top Titanium + to get six airbags, leather seats and few more features). 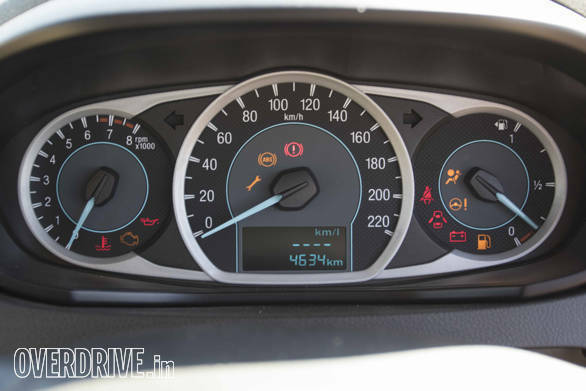 However, the Figo Aspire looks the part, has the best ride/handling balance, offers the all-important extra space and if you go for the diesel, it has a pretty awesome engine as well. Basically you get your money's worth. For now, the Mahindra KUV100 is good, but not good enough.